United Overseas Bank (UOB) on August 7 announced that it has brought together Singapore’s largest property ecosystem under one roof and has also launched a fully-digital solution for its UOB home loan. It said that its fully digitised solution for customers seeking UOB home loan would remodel the home buying experience by making home financing swifter and surer for customers. The fully digitised UOB home loansU is in support of the initiative under the real estate industry’s Industry Transformation Map (iTM) to assist property agencies with the transformation of their business models and processes via digital solutions. The launch of its UOB home loan digital solution came one week after the Bank announced it set up Singapore’s largest car ecosystem to offer a fully-digital financing solution for car buyers. These initiatives are in line with UOB’s commitment to use technology to make the banking experience simpler and smarter for customers. For its property ecosystem, the Bank has teamed up with Singapore’s four top property agencies – ERA Realty, Huttons Asia, OrangeTee & Tie and PropNex Realty – as well as online PropTech company, SoReal Prop, to develop a range of industry-first digital tools. UOB’s solution, which includes Singapore’s first bank-backed property valuation tool, a banker and buyer matching service and online instant home loan approval service, will help close to 90 per cent of all agents in Singapore as they go digital. This would enable them to guide home buyers more efficiently, from finding their preferred property to financing their dream home. UOB’s research on recent and potential buyers showed that close to three in five (56 per cent) homebuyers expect their agents to provide an end-to-end home buying service – from property searches through to completion of purchase. 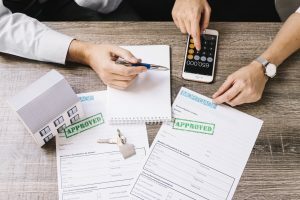 The research also found that homebuyers thought the current purchasing process often cumbersome and largely paper-based. They said agents and homebuyers had to fill in too many forms, to liaise with multiple parties throughout the purchasing process and to wait too long for the processing of their home loan application. The bank’s digital solution for UOB home loan packages includes Singapore’s first bank-backed digital instant valuation service. According to the same UOB research, more than 80 per cent of homebuyers would like to have a reliable online property valuation to calculate the loan quantum they will need to purchase their desired property. However, current online loan valuations are estimations only and are not used for home loan applications in Singapore as banks usually have their own panels of recognised professional property valuers. This means that customers may find that the loan quantum for which they qualify falls below their initial estimation. UOB’s digital instant valuation service, which is available through the agencies’ mobile app or UOB’s website, offers customers a reliable property valuation that will be used for their home loan application. To enable property agents to connect prospective home buyers to the right banker quickly, UOB is providing the GetBanker service. This digital service is integrated into the property agencies’ mobile apps. UOB’s research also showed that 45 per cent of respondents expect their agent to be able to manage the loan application on their behalf. Property agents typically rely on their own contact list of bankers to help homebuyers find a mortgage banker. However, these bankers may not always be readily available or familiar with the property type the homebuyer wants to purchase. UOB’s GetBanker service, which draws on the best practices of ride hailing apps, will refer the agent to a UOB banker based on factors such as the type of property, property zoning cluster, price and the preferred language spoken by the customer. The agent is also able to rate the banker’s service thereafter and to add this banker as a favourite banker for future reference. UOB’s GetBanker service is being rolled out progressively, with more than 25 per cent of its agents already able to use the service. UOB renovates its instant home loan approval With UOB’s fully-digital home loan solution that will be integrated with MyInfo, homebuyers will soon be able to use their SingPass to have their personal details, including their income details, populated automatically within the online application form. Upon the customer’s confirmation of personal and loan financing details, UOB will use its proprietary credit decisioning engine and real-time information from Credit Bureau Singapore to process the application within minutes. Are you planning to purchase a home soon but ensure of funds availability for purchase? Don’t worry because iCompareLoan mortgage broker can set you up on a path that can get you a home loan in a quick and seamless manner.